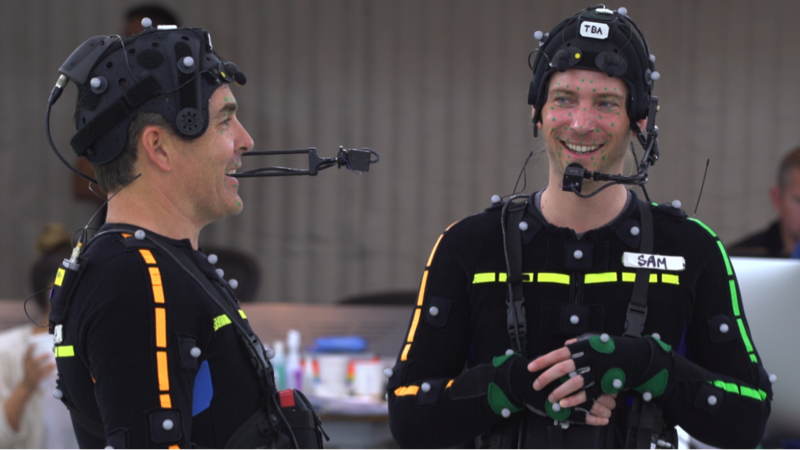 Sealed inside a locked Los Angeles soundstage, clad head to toe in motion-capture equipment that tracks every muscle he moves, Nolan North senses that something is wrong. 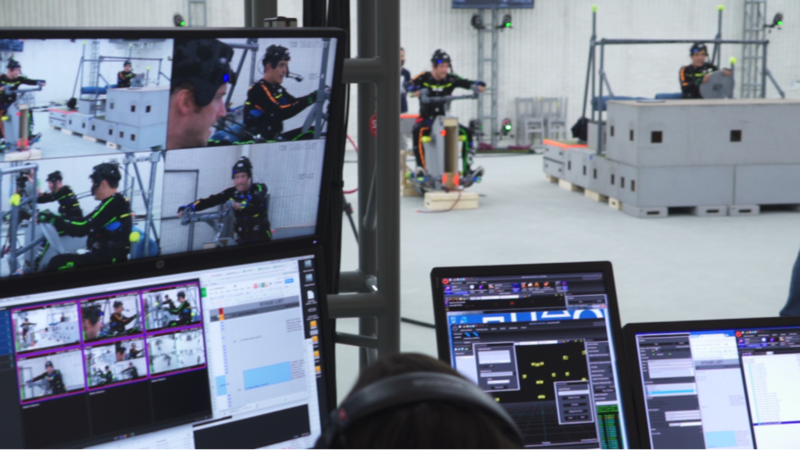 He’s just completed two takes of a 30-second scene, which PlayStation 4 players will see in six months or so as an in-game cinematic at the end of an action sequence in Uncharted 4: A Thief’s End, one of 2016’s most anticipated titles. The script calls for North and Uncharted costar Emily Rose to walk up to the edge of an invisible cliff, point to an unseen endangered ally below, and head off to help him. 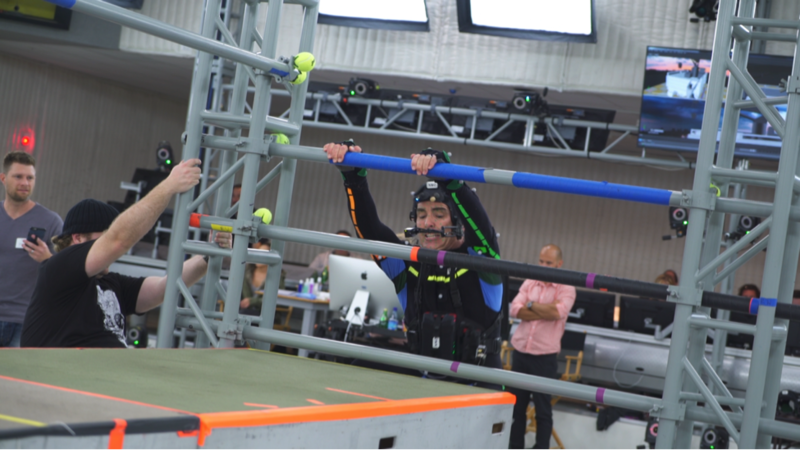 Both actors hit their marks, deliver their lines, and splay their arms out to their sides in response to the director’s instruction to enter “Z-pose,” a tai chi–style stance that the actors adopt after every take as operators reset the mocap system. But the scene still isn’t working. “Want me to fall?” North asks. The director gives the go-ahead. “From how high?” Medium-high, he’s told. The next take starts with North and Rose pretending to tumble from a ledge before proceeding with the scene. But the blocking is off: North lands first and reaches the cliff before Rose, but because she’s supposed to speak first, North’s reaction is oddly delayed. North makes a suggestion: Maybe he and Rose should try swapping lines. They agree to run through it again. “Roll sound,” a producer says. “Sound speed,” one of many technicians at a computer console responds. “Camera speed,” another crew member answers. This time North speaks first, gazing into the imaginary distance, and Rose responds. Everyone is satisfied. “It’s a simple little thing, but we always look out for the quality of something like that,” North explains later. That moment won’t make or break a guaranteed blockbuster, but it’s indicative of the game’s attention to detail, to say nothing of the level of creative control North enjoys in a series he joined before both he and Uncharted blew up in 2007. North is reprising his role as Nathan Drake, the protagonist of the Naughty Dog–developed franchise, whose original trilogy and PlayStation Vita prequel have collectively sold some 20 million copies worldwide. As its subtitle suggests, Uncharted 4 is likely the last installment, at least with these characters and this cast. Which means that this is one of North’s final days as Drake, the wisecracking, cliff-climbing treasure hunter who helped make the 44-year-old actor one of the best-known names in video games. Today, the Sony Computer Entertainment America soundstage stands in for Madagascar. In the finished product, the environment will be bustling, loud, and awash with gritty greens and browns, but the temperature-controlled studio is as gleaming and white as a Kamino cloning facility, and only the clicks from keyboards and the banter between actors disturb the silence. The perimeter is padded to prevent any outside sounds from entering, and light panels are embedded along every wall, projecting a nearly natural glow that banishes shadows. Cameras peer down from every direction. Two rectangular monitors, oriented with the narrow end up, display Blair Witch–y close-ups of the actors’ faces, transmitted from cameras that protrude from their chins and invariably get in the way when they try to rehydrate. Other monitors show barebones, real-time mock-ups of what the scene will look like: A low-res version of Drake moves in tandem with North. 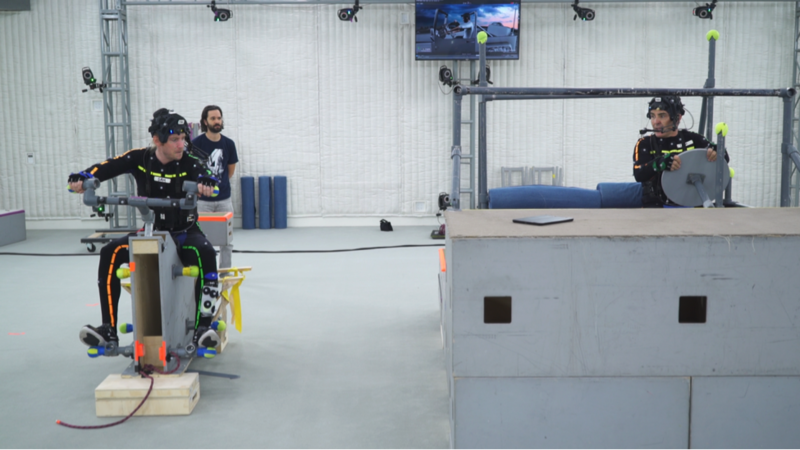 When Naughty Dog was new to motion capture, the company would wheel relics of the real world into these nondescript spaces, like jeeps and the framework for a seaplane. But physical objects are a waste of time and money for a cast that’s conditioned to interact with air. Now, plastic pipes with tennis-ball tops cordon off areas where walls will be. When a vehicle is called for, the actors sit on seats and cinder blocks and have jeeps drawn around them. The session has an end-of-an-era ambience. North, Rose, and a gravel-voiced Richard McGonagle, who plays Drake’s mentor, Victor Sullivan, have worked together long enough that there’s no need to rehearse. Rose, 34, landed the role of Elena Fisher, Drake’s coconspirator and love interest, right out of grad school.1 She wraps her role in the series shortly after lunch, to tentative applause. “No big deal,” she says, mock-criticizing the crew’s measured response. “Just the end of 10 years of my life.” They clap louder, and she breaks off a motion-capped curtsy. McGonagle wraps a little later. The three leads take selfies and make plans to meet up in the future for lunch. With no apparent premeditation, Rose and McGonagle wait until North is within earshot, then ask me with faux-surprise why anyone would want to write about Nolan. The pesky cliff scene is a rare refractory period between Uncharted’s frequent climaxes. Later in the day, North pretends to be a drunk patron at an Italian villa, creating a diversion by bumping into a guard and saying, “Scusi, scusi,” while he pockets the guard’s keycard. He also grabs a prop gun and ducks and covers during a mock firefight, flinching away from invisible bullets alongside Troy Baker, a more nattily dressed titan of video-game voice work who’s making his Uncharted debut as Nathan’s older brother Sam. It’s like De Niro and Pacino in Heat, except they’re on the same side. North’s fake falls and dives behind barriers might look slightly stiffer than they did a decade ago, although Drake, who’s outwardly aged along with him, still leaps like a tree frog. But if Tom Cruise and Liam Neeson can convincingly play action heroes into their fifties and sixties, then surely North, with the aid of the computers that map his movements onto character models, could keep this up indefinitely. North got into video games because of a deep-seated desire to do something different. In unwitting preparation to play every role, he did every job: laying asphalt, waiting tables, tending bar, and taking on carpentry projects, Harrison Ford–style. Born to parents who met doing summer stock theater, he came late to acting as a career, majoring in journalism at the University of North Carolina, which he attended on a baseball scholarship before a shoulder injury ended his pitching career. Even before the injury, he’d been humbled by better athletes, forced to confront the fact he was nothing like his namesake, Nolan Ryan. “I worked hard and I trained and I did the little extra things, and there were guys that would come in hungover,” he says. “On their worst day, they were better than me on my best day.” After graduation, he worked as an on-air reporter in New York, New Jersey, and Connecticut, while he practiced SportsCenter-esque catchphrases and considered applying to ESPN. Burned out by sad stories a year into his career as a journalist, he took refuge in Tampa, where his older brother advised him to pursue something he liked. He returned to New York to try stand-up and improv, then left for L.A., confident that one way or another, he wouldn’t be back. In Hollywood, he got his start as a soap star, playing a series regular on General Hospital spinoff Port Charles from 1997 to 2003. He married a cast member, Jill Murray, and had a couple of kids. When Port Charles ended, North got an offer to join an East Coast soap. With a family to support, he considered settling into a life of steady earnings and recognition among the retired and unemployed. Instead, his wife encouraged him to try voice work, for reasons that are obvious two minutes after you meet him: He flits from impression to impression with Robin Williams–esque energy, mugging around other actors out of an irrepressible urge to entertain. Sixteen years later, the demand for his services hasn’t slowed. Uncharted 4, due out next March after three years of development delayed by creative turnover, is still several months away from going gold. But North is in the news now for his lead voice role in The Taken King, an expansion to the oft-updated big-budget 2014 shooter Destiny that comes out this week. One much-mocked element of Destiny’s lackluster launch was Peter Dinklage’s low-affect delivery as floating AI companion Ghost, which sounded less like a person or a computer than a person’s computer impression. North was hired to rescue the expansion from the voice-acting equivalent of the uncanny valley, but Bungie also asked him to redo the original, ostensibly to keep the character consistent. Download Destiny’s 2.0 update, which dropped last Tuesday, and you’ll now hear only North; Dinklage was wiped away. The Internet approves. 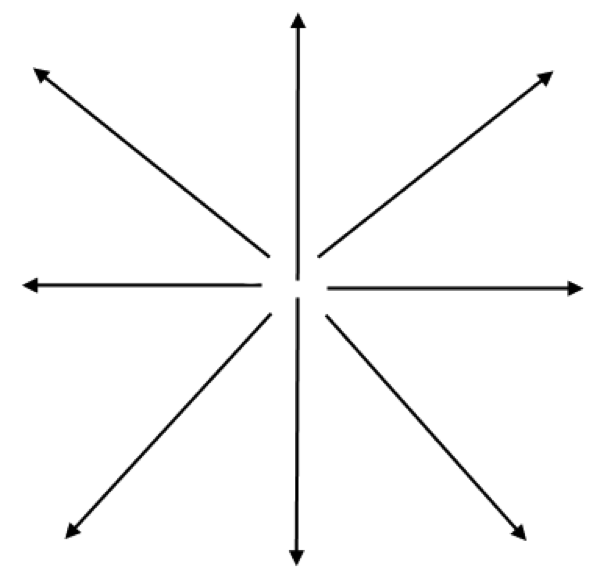 Destiny’s de-Dinklaging reinforces the not-inaccurate notion that North is in everything. Aside from Uncharted, his credits include seminal series from every genre. Shooters, both realistic (SOCOM, Spec Ops, Call of Duty) and futuristic (Gears of War, Halo, Titanfall). Action/adventure games: Prince of Persia, Assassin’s Creed, Batman: Arkham City, and The Last of Us. RPGs: Dragon Age, Guild Wars, and Final Fantasy. Platformers (Ratchet & Clank, Sly Cooper) and open-world games (Mafia, Saints Row). Puzzlers (Portal 2) and MOBAs (Dota 2). He’s played a part in almost every major franchise: Marvel, Lego, James Bond, Lord of the Rings, Star Wars. A three-part YouTube montage of North’s roles runs for more than half an hour, even though it was last updated in 2011, which was dozens of games ago. Presumably, whoever was cutting the clips couldn’t keep up. In another medium, it would be nearly impossible to achieve this kind of ubiquity. Rick Rubin in music, maybe. But it’s hard to come up with a comp from film or TV. To be a big-screen Nolan North, the same person would have to play Jason Bourne, Ethan Hunt, Dominic Toretto, and Bryan Mills, then become the next Bond — and, while replacing Daniel Craig in the sequel to Spectre, go back to the beginning and rerecord Sean Connery. Toward the end of the aughts, North’s electronic omnipresence led to fan fatigue, which was less an indictment of North’s work than of the industry’s unoriginality. In 2009, Giant Bomb added a category to its year-end award podcasts known as the “Northies,” which were awarded to North for the year’s best Nolan North performance. And in 2013, he played himself in Saints Row IV, poking fun at his ubiquity by breaking the fourth wall. It’s hard to say whether North’s niche fame sells software — whether anyone goes to GameStop or the closest console’s digital download store thinking that they have to have the new Nolan North game. But he has to have a box office effect, if only because his presence helps publicize any project he’s attached to. People who aren’t serious gamers still goggle at his all-encompassing résumé the way people who don’t care about basketball marvel at Wilt Chamberlain’s claims about sexual conquests, adding up hours and dividing by days to see whether one person really could have accomplished all of that. When he’s finished with “idle to walk,” he moves on to “idle to slight jog, do all those,” he says. “Now idle to full sprint. Now those are done. Now idle to crouch-walk — crouch-walk this way, this way, this way. Crouch-jog, now crouch-sprint, now we’re on fire. You’re taking fire, you’re doing something else. Now you’ve got to do it where you’re walking shooting left, shooting a machine gun, now it’s this kind of gun. Do all those. Days and days. Just dripping [with sweat].” There’s no way to recycle the move set from Uncharted 3, which was developed for the previous PlayStation. “I’ve asked,” he says. “Believe me, I’ve asked.” With each release, game engines and mocap techniques advance, and he has to put Drake through his paces again. He presses down with the pencil, circling the arrows around and around, walling off the white. North isn’t asking for sympathy: He wrote the book on Uncharted 3, so he knows how much work goes into every aspect of the game. “There’s always someone doing something harder than I am,” he says. He has no interest in giving up video games, but that impulse to do different things is always whispering, making him wonder whether he’s exhausted his own move set. For all of his success, he’s making lateral leaps, crouch-sprinting from one game or cartoon to the next but rarely escaping the animation circle. On some days during Uncharted’s development, North watches while someone else plays a level and ad-libs in response to what Drake does, a practice he calls “chasing picture.” On other days, he watches while Drake controls his career. At the end of his hours as Drake, with his high-tech wetsuit in storage and his face looking less like a Na’vi,5 North checks his email and sees a script for tomorrow — another completely packed day. In the morning, he’ll head to DreamWorks to play Captain Smek in a TV adaptation of Home, then enter the studio for Sanjay and Craig, a Nickelodeon cartoon on which he plays several recurring characters, including “Huggle Bunny” and “Chicken Chuck.” Lastly, he’ll visit Warner Bros. for a video game, another “big, big project” that he can’t talk about other than to say, “That’ll be another 10 years of my life.” The day after that, it’s back to Nick Jr. for Blaze and the Monster Machines, a CGI educational series. He voices Blaze, but he doesn’t play the Monster Machines. Occasionally, other actors have to work. Even if he keeps swimming in a smaller pond, North could soon be competing with bigger fish. The same factors that have made TV attractive to film stars — increasing cultural cachet, a big built-in audience, a limited time commitment — might make games attractive to more household names like Kevin Spacey and Gary Oldman, both of whom have crashed North’s Call of Duty turf. And with the demise of Dinklebot on his mind, North tells me twice that voice actors are easily replaced. If so, the companies that keep casting him have yet to catch on. Maybe that’s because his skills are worth the extra expense, relative to a replacement-level actor. Maybe it’s also because he believes he’s easy to work with — “I pride myself on not being difficult,” he says. Outside of her game work, she’s also had recurring roles on TV series like Haven and Graceland. Reviewers agreed that the game was no Interstate ’76, but they were impressed by the acting: GameSpot’s Jeff Gerstmann wrote that North’s villain, Hinkley, “sounds like he’s doing an impression of someone doing an impression of Christopher Walken,” which was intended as a compliment. The doodle looks like this. It also features Felicia Day, Seth Green, James Gunn, and other vets of Firefly, Battlestar Galactica, and Star Trek. You’ll never believe this, but North did voice work for Avatar: The Game.